Optimal health and wellness are achieved by finding the balance of spiritual, emotional, and physical well-being. Whether you’re looking for herbs and vitamins or organic lotions and candles for aromatherapy purposes, the holistic and health food stores of California have it all. Here are our favorites. This town is known for its laid-back, healthy-lifestyle vibe. A natural foods store that also sells herbs, vitamins and aromatherapy products fits right in. Organic produce shares space with natural foods, all of which have labels that support that designation. The Herb Room has a huge selection of herbs from around-the-world, plus books, tinctures, essential oils and body products. Bulk selections available. The independent women who own this herb store and healthcare clinic educate customers about self-care and empower them to use herbs and other natural remedies. The holistic practitioners on staff, Western herbalists and clinical nutritionists, provide holistic and natural support for a wide-range of healthcare needs. The brick-and-mortar store has an extensive line of supplements, vitamins, lotions, potions, books, candles and teas. The philosophy imbued into this store by its owners, since 1985, is to promote holistic self-care, personal healing and spiritual growth. They do this by being an outlet for beautifully vibrant high-quality herbs and tea blends, plus by providing tinctures, extracts, essential oils, supplements and natural body care products to customers. Teas and herbs are organically grown and ethically harvested. Pick up a book on natural medicine, schedule an herbal consultation or take a class. Bring peace into your life and heal your mind, body and soul with the help of the holistic practitioners here. Crystal therapy, Zen shiatsu, reflexology, reiki healing and spiritual healing and guidance are just a few of the healing services provided. You’ll find a diverse selection of natural herbs and essential oils, plus candles, crystals and body care products to help ease life’s stresses. Passionate plant experts. Activists to help you discover a healthier way to live. That’s who drives the focus of this all-natural herbal store. You’ll find a range of herbs and exclusive herbal products that bring happiness, wellness, energy and relaxation. The unique products include superfoods, books, natural cosmetics, natural fitness weight loss and natural skincare products, plus herb blends to enhance cognition and memory. Take a stroll through this store past teas, crystals, candles, herbs, essential oils and other organic supplements and you’ll feel like you’re in a sanctuary … a healing place. This is a place of empowerment with resources that support holistic health. Body oils and lotions, flower essences, books, teas and powders, supplements, skincare products, plus herb remedies for children, and a knowledgeable staff all help take customers on a journey to physical, mental and spiritual well-being. Classes for those who are looking for additional understanding. Transform your life at this holistic healing center. It happens through the heart-centered services and extraordinary practitioners who practice here. 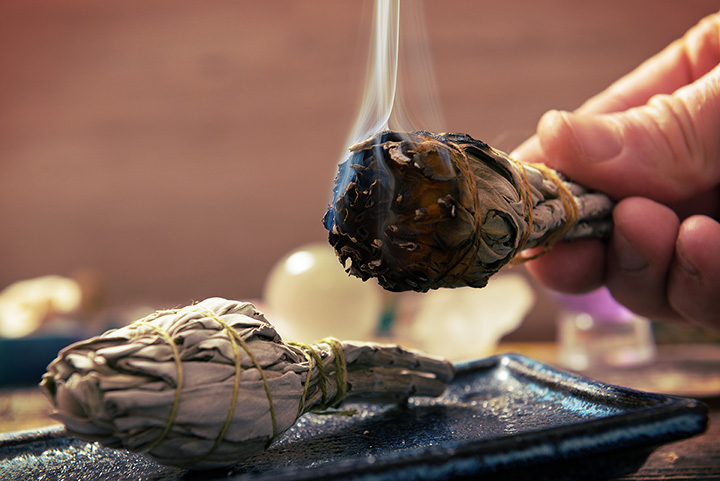 Tools for healing include crystals and celestial creations, handmade journals, incenses, candles, tarot and oracle decks, all which provide guidance and assistance for a more meaningful life. Services, which include hypnosis, reiki, life and career coaching, nutritional counseling and intuitive coaching, are provided for all ages and to those from all walks of life. Earth Day, 1970 was the dawning of this shop that’s full of Western medicinal herbs and culinary spices, plus a collection of traditional and Ayurvedic herbs. You’ll also find essential, fragrance and cold pressed oils, as well as teas, books, capsules, extracts and tinctures. All herbs are pesticide-free and most are certified organic and some are ethically wildcrafted. Oils are pure-steam distilled and certified solvent free. Most herbs and spices sold in bulk. If you’re seeking to be at one with yourself, in harmony with your world, stop by this shop that specializes in selling organically grown and wildcrafted and ethically-harvested herbs, more than 400 varieties, herbal products, botanicals and fair-trade teas, herbal extracts, aromatherapy items, essential oils, nutritional supplements, mushroom products and flower essences crystals, plus books that will guide you to better all-around health. Also on-hand are hard-to-find medicinal, wildflower and culinary herb seeds, as well as raw chocolates and super-foods. Everything is geared to enhance well-being. Folk medicine for today’s folks. That’s what Ema, the owner of this store, embraces—blending both modern and folk medicinal approaches to promote healthy living habits for all who stop by through the uses of organically grown herbs, vitamin treatments, liquid nutritional supplements and natural healing products. Herbs can be purchased in bulk. Herbal tea remedies can be blended for specific ailments.